I think elegant maternity photography is the most perfect way to cherish your pregnancy. How romantic is this dusty pink sheer fabric? So simple and elegant. I love the soft lighting and the emotion of this photo. This stunning Mummy is about 38 weeks here. Hi I’m Tracy and I specialise in maternity photography. I have a beautiful and private studio located in Caboolture on Brisbane’s Northside. I love to photograph pregnant women and create romantic and elegant photos. I’m a self confessed perfectionist. When I take a portrait I’m looking at everything from your toes all the way up to the emotion on your face. I want you to feel relaxed whilst being carefully posed. I believe the right lighting, a tiny stretch and a slight twist can make the ordinary extraordinary. Are you nervous about boudoir photography? Most women will be a little nervous having boudoir photos! I promise you will feel very comfortable. I’m respectful, caring and professional. It’s my job to make you look amazing! Your photography session will fun and you’ll leave here feeling empowered! When I was pregnant, maternity photos were unheard of and rarely seen. Being pregnant and carrying my children is one of the most precious memories I will always reflect on. I’m so proud of my children. I created two amazing human beings, isn’t that momentous! You are doing the most important job, becoming a Mother. I want every woman to have photos of this magical milestone. It’s so beautiful and oh so fleeting. Visit my gallery to see more elegant maternity photos or phone me for a chat. When you step inside Bee Cherished Photography Studio I promise to make your experience fun and memorable. Thank you for considering me for your pregnancy portraits! Looking for the best 1st birthday photography idea? Congratulations if your little baby boy is about to turn ONE. What a very special milestone not only for yourselves but your baby is now entering a new chapter into his toddler years. Life is about to hopefully get a little easier and life changes once more with a young man racing about the home. Many of you are now heading back to work and leaving your gorgeous boy in childcare. I still remember leaving my children for the first time heading back to work. I hope you have plenty of tissues and the transition goes smoothly. These sessions are perfect for children turning one. It’s such a great age to capture personalities. Please ring to plan your mini milestone session. I’d love to hear about your child and their routines to make sure we book the right time for lots of smiles. I recommend after a sleep when they are happy to play. At this age we only have a small window of opportunity to keep them in one place for photos. I move pretty fast and we have lots of fun with 3 different set ups. When is the best time to book baby photography? If you’re having a baby in 2019 you’ll be considering newborn photos. So where is the best place place to start choosing a photographer? Here are a few tips to help you out on your journey finding a newborn photographer. 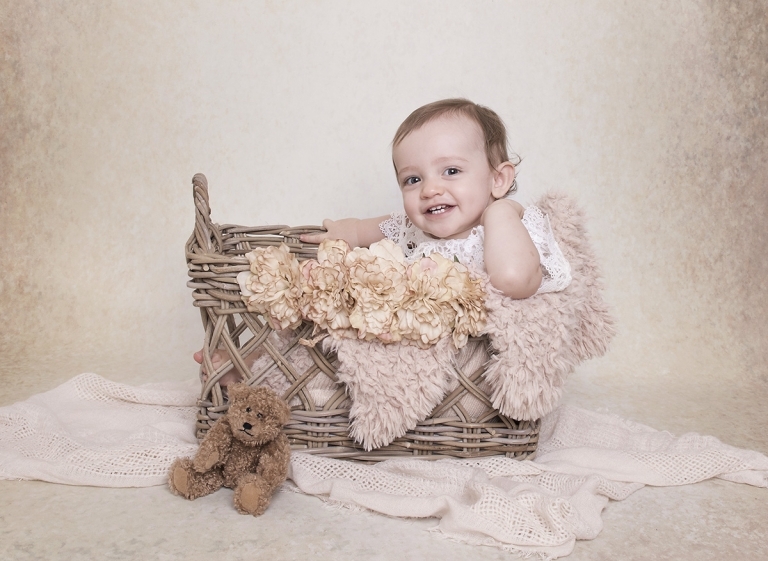 Find your favourite photography style – Every baby photographer will have a certain look. They may use neutrals and soft pastel colours or take dark moody photos. They may edit a particular way. Maybe they have a particular range of photography props you adore. Whatever it is make sure you love their newborn photo gallery. Check out newborn photography packages – How much will your baby photos cost? What do you get for your money? Will you receive quality archival products? Does your package include digital images? Please don’t choose your newborn photographer solely on price. Newborn photos are precious, these fleeting moments are treasured memories. After your 20 week scan is a great time to find a baby photographer. These days newborn and baby photography is one of the fastest growing genre’s in photography. To ensure availability for the photographer of your choice it’s best to book early. 3 things you may not know about baby photography? Most newborn photographers will have the room toasty warm for the comfort of your newborn baby. So wear something cool and comfortable. For families I suggest similar colour hues but try and include small patterns or stripes for boys and maybe a small floral for girls .. a great example would be .. Mum in navy and white floral .. Dad in a plain navy and toddler in a navy and white stripe or small pattern. Are you looking for newborn baby photography in 2019? Congratulations if you’re celebrating the news of becoming pregnant! Life is about to change in so many ways and everyday will be an exciting new adventure. I absolutely love Motherhood and I just love photographing pregnant bellies and newborn babies! 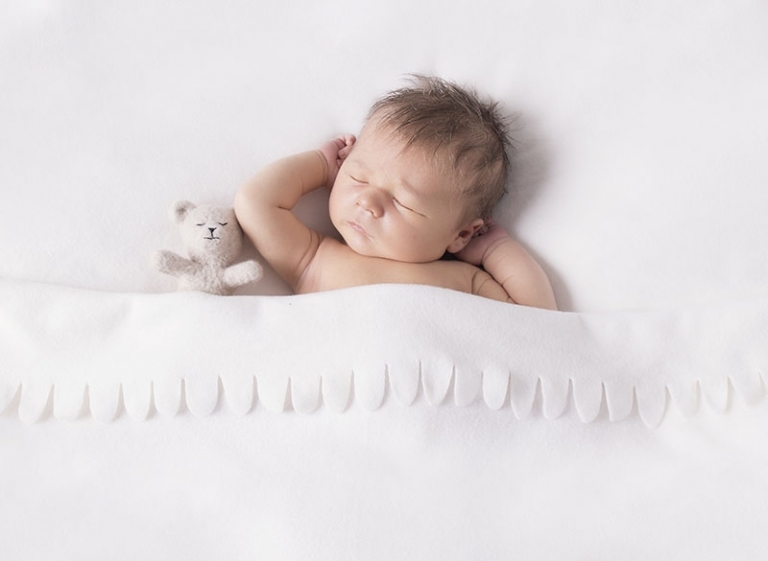 Did you know newborn baby photography is one of the fastest growing genre’s in photography? I think it’s wonderful! And why wouldn’t it be? Almost every married couple you meet will have wedding photos so why not book a newborn photographer. Having a baby is one of the most memorable days in your life! Treasure every moment. Photos freeze those amazing little baby wrinkles and soft pouted lips. You’ll want to remember every fine fuzzy strand of hair and the cutest button nose. Your new baby will change everyday and those fleeting moments of newborns disappear too quickly. Now is the time to investigate newborn photography packages available. In fact during your second trimester is the perfect time to book your favourite photographer. The best time to have your newborn photos taken is in the first two weeks. Between 5 days to 10 days old, at this age they are most comfortable to have those newborn curly poses that look so cute. Your newborn will curl up so easily in your arms for your family photos. These photos are priceless memories for each generation to enjoy. It’s so important to exist in photos especially with your new baby. I love to take photos of Mum and baby, Dad and baby and then all together. And let’s not forget to include siblings and family photos. Newborn packages include family photos as well as your new baby on their own. How much is newborn photography? Packages start from $495 and include a beautiful 10 page linen album available in ivory, dusty pink or charcoal grey. Enjoy wallet size photos, a USB with digital images and a birth announcement slide show to music. As a guide most people will spend between $495 to $1500 upwards on newborn photography with Bee Cherished Photography. Please visit newborn photography information for details regarding sessions. Save $100 by booking maternity and newborn photography. Do you love the idea of pregnancy photography but secretly think it’s a guilty pleasure? You couldn’t be more wrong! The most common regret for many women is not having maternity photos. Yes! it’s true and sadly one statement I hear far too frequently. I have 5 great reasons why you should book a maternity photography session. Your body will go through many changes as pregnancy has it’s way with you. But the biggest change will be your slow and beautiful transformation from being a woman to being a Mother. Congratulations! You spend 9 months preparing to fall in love for a lifetime. During your pregnancy you will discover the joys of carrying a baby and enjoy the feeling of your babies movements as they grow. You might know when they have hiccups and you can feel their active times. These are such precious and fleeting memories that stay with you always. I know for some mothers you may also endure some not so wonderful symptoms of pregnancy. However most of us will treasure our scan photos. Many mothers will keep a diary of the first time they hear a heart beat. The first time your partner can feel a kick. Your weight gain and favourite food cravings will probably become part of your stories to share with family and friends. How momentous is pregnancy? As a mother of two I am one of those mum’s who have a diary and scan photos. I am also a mother who wishes I had pregnancy photography to share with my children. When I had my babies maternity photography wasn’t really a thing. Unlike wedding photography not many from my generation have pregnancy photos. These days maternity photos and definitely newborn photos are something most people are making a priority. I adore maternity portraiture and I would love to take photos of your pregnant belly. If you’re a little unsure why you need to have pregnancy photos here’s why. Number one reason is for yourself to cherish the memories. Have photos of yourself during your pregnancy to treasure. Creating a life is one of the most amazing things you will ever do. You’ll have wedding photos and you should absolutely have maternity photos as part of a chapter in the story of life. Feel amazing! Why not take the time out for yourself. Enjoy being pampered, hair styling, makeup and a portrait session will leave you feeling empowered and so beautiful from within. Great excuse to have family photos. If you already have a child it’s a wonderful time to capture your little family before the new addition arrives and three become four or maybe more. Surprise your partner! Yes this idea is growing in popularity with some mother’s secretly booking a boudoir maternity session to surprise their loved ones. So much fun! What about sharing your photos with your children as they become parents. This is one of my favourite reasons, your children will feel so loved and excited to see themselves in your belly and see how very special those memories were to you all.